NEW PRICE--NEW PRICE ---VILLAGE OF BRIDGEPORT @ LAKE SUMTER -- Fabulous ST.SIMONS PREMIER HOME with attractive curb appeal & Professionally Landscaped yard . In all Premier Village of Bridgeport in Lake Sumter. Expanded Golf Cart Garage, Private over sized lot with P00L AND HEATED SPA, plus lake views. Three bedroom, 2 bath, (split bdrm plan) Large eat-in kitchen, over sized Island, granite counters, gas cooking, built-in wine rack, pullouts, Lg walk-in pantry. Master Bedroom suite with sitting area, 2 walk-in closets, en suite bath with tiled shower & garden tub, double vanities. 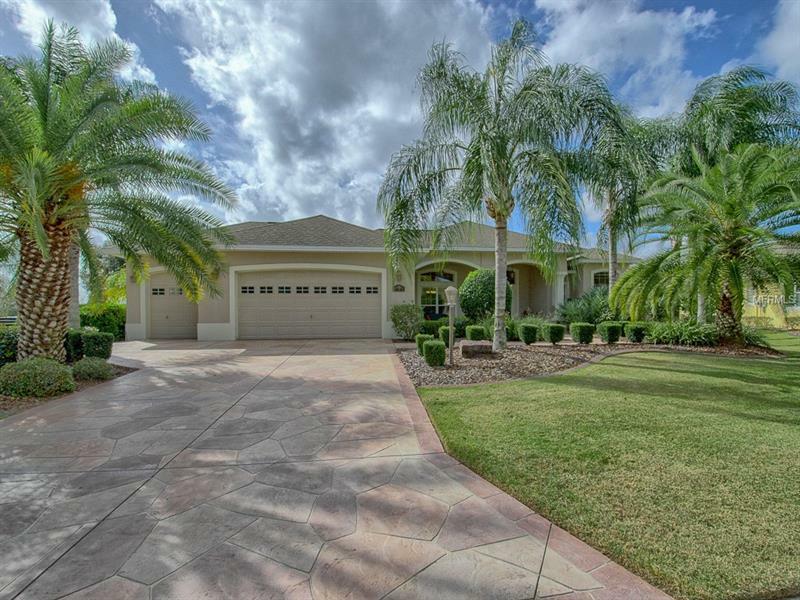 Living room, den & master bedroom overlook beautiful pool and Spa.Inside Laundry w/ sink and ample built cabinets leading to oversize Garage THIS HOME IS A MUST SEE!